A minimum $30.00 deposit is required at sign up. Fly/Drive trip includes lodging, but does not include transportation. 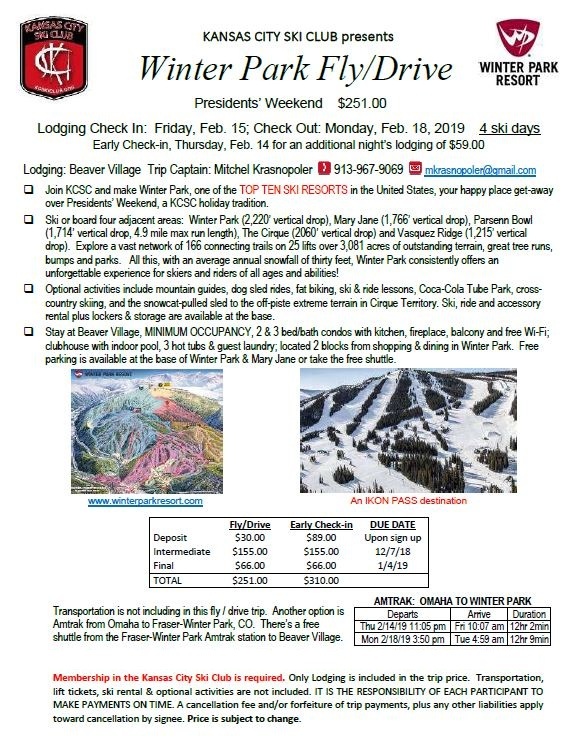 Check into lodging the day before the trip starts, ie., 2/14/19. Limited availability for an additional fee. Your room may be used as a change room by trip participants upon arrival on 2/15.